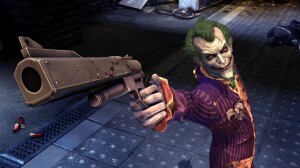 Fans were shocked when it was uncovered in early July 2012 that the third game proposed in the blockbuster Batman: Arkham series was going to be a prequel (though, no official announcement has surfaced as of yet). 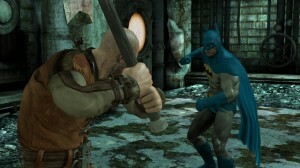 Set in the Silver Age, the game is said to feature Batman’s first encounter with the Joker and include the Justice League of America. Purely conjecture on my part, but this may have to do with some of the concerns I raised in an earlier article about a possible third game in regards to escalation. The first game was set in the finite space of Arkham Asylum, the second in a larger space in Arkham City, so it would be logical the third game would be for the whole of Gotham City. Also, as elements like tools, unique enemies, and playable characters have increased in volume between both games, again it’s logical a third game would follow suit. However, such a development may not even be possible given the limitations of modern consoles and yet, gamers are one of the most demanding cultures of fandom so the solution would either be to wait until technology catches up or simply do something different (in this instance, both solutions could happen: the next game as a prequel, and when the technology is there, City’s sequel). As for the Justice League, the overwhelming success of Marvel’s Avengers film franchise has demonstrated the money to be made in a similar project. Of late, DC Comics has initiated a huge push to get their characters into various media (beyond just the time tested Batman and Superman, and sometimes Wonder Woman, as they have for decades). 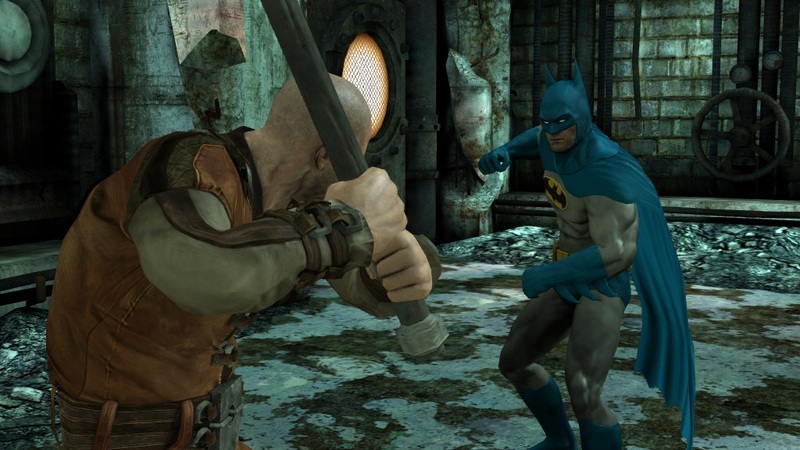 With games like Lego Batman 2: DC Super Heroes and Injustice: Gods Among Us out or coming soon, it makes sense the popular Batman: Arkham franchise would try for a similar push. In the comics, Batman first crossed paths with the Joker when the mysterious villain announced he would murder three men over the radio and challenged the police to stop him, bringing him into conflict with Batman and Robin. This story is paid homage in the Batman: The Animated Series episode “The Laughing Fish” (which also adapts another famous Batman story the title is named after) and in the film The Dark Knight when the Joker targets district attorney Harvey Dent, police commissioner Gillian B. Loeb, and judge Janet Surrillo after informing police of their danger with a Joker playing card. This story is also revised for the title Batman: The Man who Laughs. It would later be retroactively established that Batman and Joker would meet earlier when the man who became the Joker masqueraded as the villainous Red Hood who fell into a vat of chemicals giving him his clown-like appearance and perhaps altering his perception (driving him insane). This origin would be the basis of how the hero and villain meet in the 1989 Batman film (giving the Joker the name of Jack, one generally adopted across various media as his prior name). Occasionally these origins have been altered or updated such as with Batman: The Killing Joke where it’s explained the man who became the Joker was a hapless loser forced into crime and Batman: Lovers & Madmen where the Joker is more like his two previous film adaptations portrayed as a master criminal (In Batman: Mask of the Phantasm, Jack Napier was a hitman for the Valestra mob before becoming the Joker). The location of Batman’s fateful encounter with the Red Hood is represented in Batman: Arkham City in Ace Chemicals where Bruce Wayne dons his Batman garb at game’s start, coincidentally down the street from Monarch Theater where Wayne’s parents took their son the fateful night they lost their lives in Crime Alley and where Batman has his final encounter with the Joker in the game’s finale. Going back to the comics, Joker has a rather unique distinction. Prior to his appearance, Batman had only faced gangsters (like Boss Zucco), mad scientists (like Dr. Death and Hugo Strange), thieves (like the Cat, later Catwoman, who appeared in the same issue as the Joker), and the supernatural (like the Mad Monk), but the Joker was the first costumed supervillain he battled. This character in many ways changed everything, opening the door for Clayface, Professor Radium, the Penguin, Two-Face, and Tweedledee and Tweedledum to appear in the months that followed (Robin coming on as Batman’s sidekick very shortly before crossing the Joker’s path). The Joker’s appearance is generally perceived as taking place a year after Batman began his crusade against crime and, for Batman: The Man who Laughs, introduces himself to the world during a live broadcast featuring the re-opening of Arkham Asylum (which underwent significant renovations following Jeremiah Arkham inheriting the estate from its founder, and Jeremiah’s uncle, Amadeus Arkham who went mad and became a patient therein). 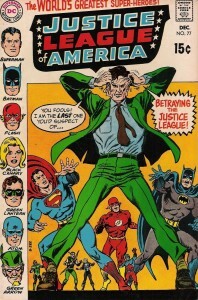 When the Justice League of America first appeared in the pages of the Brave and the Bold (a book later associated with Batman following his television series’ success), it was an assemblage of the most notable heroes at the publisher at the time inspired by the Justice Society of America who had formed off-panel. 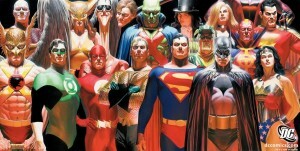 Its founders, Superman, Batman, Wonder Woman, Green Lantern, Flash, Aquaman, and Manhunter from Mars, would be referred to by fans as the “Big 7” and fought the likes of Starro, Xotar the Weapons Master, Professor Ivo and his android Amazo, Despero, Kanjar Ro, Dr. Destiny, and Amos Fortune (and added Green Arrow to their ranks) before we finally learned of their joining together in wake of a bid by seven Appellaxian aliens to use the Earth as a battleground to decide who would rule their world (an origin told to readers on the third anniversary of the League’s formation). During the conflict with the Appellaxians, each Leaguer save Superman and Batman individually bested one of the aliens before teaming to battle and defeat Wood-King. Going to battle the final alien, Crystal Creature, the five heroes discover the World’s Finest team Superman and Batman defeating it themselves. Following the events of Crisis on Infinite Earths, Superman and Batman were no longer founding members with Black Canary replacing Wonder Woman as a founder (making the group one of five individuals) that was secretly financed by Green Arrow who joined the team about a year after their formation. 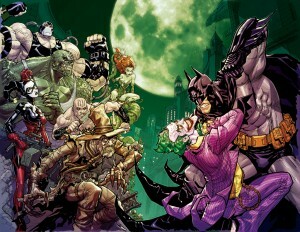 The Joker has had an infrequent history with the Justice League. His first appearance against the group was actually one dreamed up by Dr. Destiny into reality (without conclusive identification if the Joker was even involved). The next time the group battled him, he was part of an assemblage of villains organized by King Kull to wipe out humanity across three parallel Earths teamed with Bulletman’s nemesis the Weeper (paid homage in the Batman: The Brave and the Bold episode “Joker: The Vile and the Villainous!”) though his part in the play actually brought him against the Squadron of Justice. 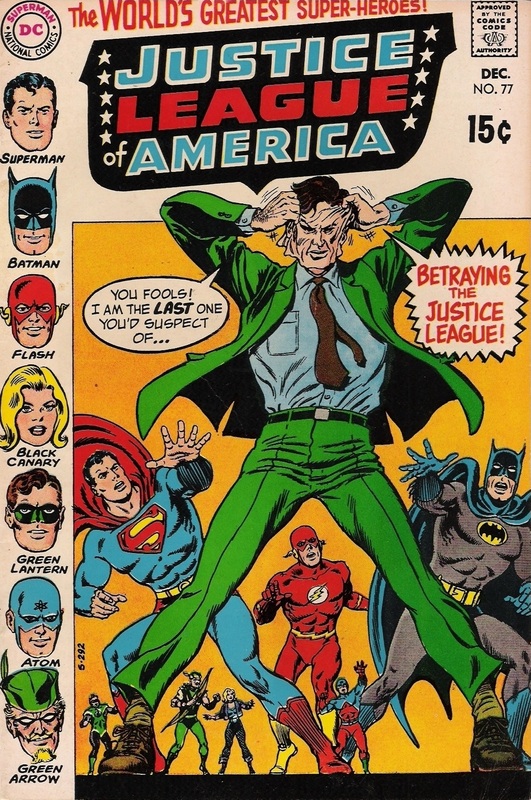 The Joker wouldn’t take on the Justice League by himself until he brainwashed League mascot “Snapper” Carr into turning on the group as part of the villain’s persona John Dough (who rallied people to get rid of “freaks,” his prime target the League), using Carr to uncover the location of the group’s hidden headquarters the Secret Sanctuary which he infiltrated and used high-tech ray guns to tear the team apart. Though the League eventually defeated him, they abandoned the location in favor of a satellite base encircling the Earth that provided what was believed to be better protection. For the Super Powers Team: Galactic Guardians television series, the Joker joined with Darkseid in a bid to conquer Earth masquerading as Ace and forming the Royal Flush Gang (a group known as a frequent opponent to the Justice League in the comics) in order to defeat Earth’s heroes. 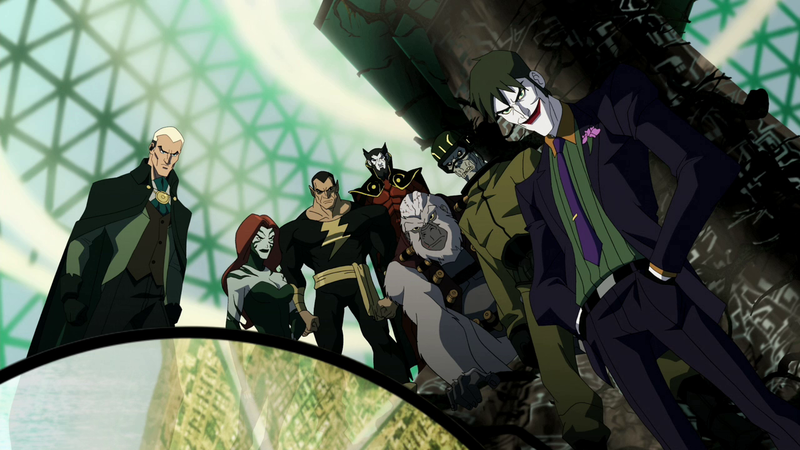 In the television series Justice League, the two-part episode “Injustice for All” features the Joker forcing himself into Lex Luthor’s Injustice Gang as part of a desire on Luthor’s part to kill Superman before Luthor would die from Kryptonite poisoning (being frequently exposed to the radioactive material). The Joker would be part of Luthor’s Injustice Gang in the comics as well where he employed technology to trap Superman and Martian Manhunter in a maze generated by his mind. 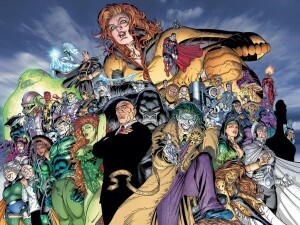 In the comic series Justice, Luthor forms the Legion of Doom to destroy the Justice League and the Joker is angered when he’s not invited to join. 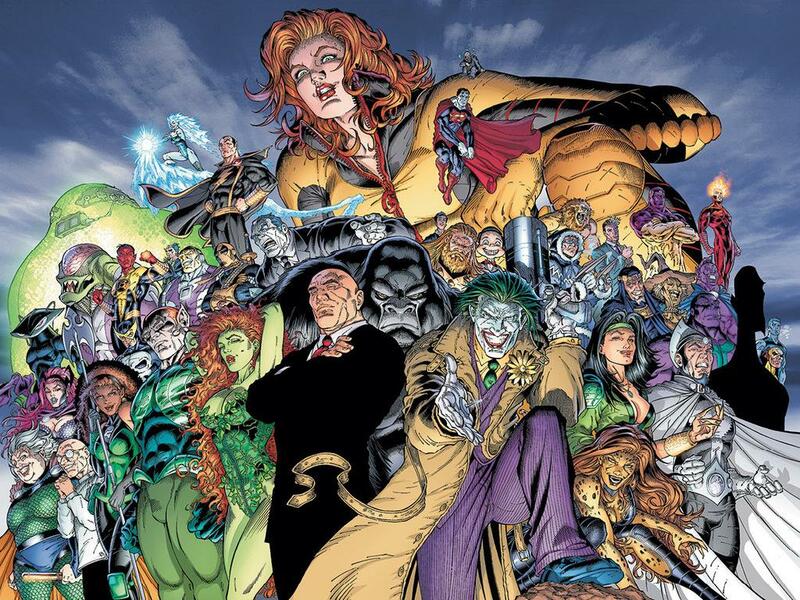 As the Legion constructed domed cities each member would rule, the Joker infiltrated them and destroys those belonging to Luthor and Scarecrow. Joker as part of the Legion of Doom took on the Justice League in a baseball game in the Batman: The Brave and the Bold episode “Triumvirate of Terror” and is part of the Injustice League attacking major cities across the world with mutant plants in the Young Justice episode “Revelation.” In the comics, Joker would join with Luthor and the Cheetah to form an incarnation of the Injustice League made up of a small army of villains united to eliminate the Justice League and conquer Earth.